The Sharlin, and its heir, the Shargoti, are the backbone of the Minbari Navy since more than 800 years ago; The first series of Sharlins, the Sharlin-Haza, entered in service about in the 1450 A.D., while the Sharlin is an improvement dated back to the late XIX century, and the larger and more powerful Shargoti is relatively recent, a design of the late 2100's. The Shargoti is the only ship of the family in actual production, and are available more than 900 of them. The whole production of the Sharlin family amounts to a total of a few less than 4400 ships, but about 800 of them have been decommissioned or were lost in service. The Sharlin family (Upgraded Sharlin-haza, Sharlin and Shargoti) is actually (2280) in service in more than 3400 units, representing the maximum naval power of this sector of the Galaxy. In the present essay the reference unit is the Sharlin, but are provided even the data for the Shargoti, that has replaced the Sharlin in the shipyards since the 2238.
used by the Minbari Navy in the "Ancient War" fought against the Shadows in the years around the 1250 A.D., and developed their architecture and their technology, in an evolutionary more than revolutionary way, in order to overcome the limits shown in the operational use by the older ships, and produce a warship capable to fight with superior effectiveness the Shadow capital ships (Battlecrabs). Almost all the design of the Sharlin is centered upon this driver concepts, and the outcomes were an enormous firepower and an exceptional strategic mobility, obtained essentially thanks to the high average speeds attainable in the hyperspace thanks to the advanced, low fuel consumption propulsion system. The Sharlin is a large, powerful ship, more than 1500 meters long and 1700 meters tall, with a mass of about 55 millions metric tons, a basic crew complement of 130, and overall performances and effectiveness that place it well above the typical capital ships of the Younger races. The architecture of the Sharlin is clearly structurated on three main elements: a main hull, that holds the crew and the primary systems, a large rear fin that is the main gravimetric drive that generates the thrust (in fact, the "pull"), and three relatively smaller fins, one dorsal and two ventrals, that have installed at their tips three secondary gravimetric projectors used for the manoeuvres through the warping of the main gravimetric field. The hull is a monocoque spaceframe, made of a reticular structure of advanced metallic alloys reinforced with chrystalline fibres, lightweight and of adequate strength, that holds the main systems and the crew stations in combat conditions, the fins are a conventional torsion box structure of the same material with internal ribs and stiffeners. The passive defence is based upon materials and concepts deeply differents from the human design. The Main hull, very well protected against the fire of beam weapons and energy weapons, is heavily armoured with a stratified armour of polychrystalline mesh and heavy refractory alloys, while fins and gravimetric projectors are lightly protected, to allow a good efficience of the gravimetric propulsion system and to avoid an excessive growth of the ships's mass. The Minbari armour is conceived to oppose the Shadow weapons, and the whole design is developed in order to ensure the protection of crew and main systems against the fire of the shadow fighters and auxiliary vessels, and to allow a certain level of survivability, at least at the long ranges, to the main beam weapons of the Shadow battlecrabs. The Sharlin Warcruisers have neither an equivalent of the E-Web, nor an interceptor grid (even if the gravimetric field generated by the propulsion has a certain dissipative effect against the pulse weapons), but their passive defence (as the ones of all the combat capable Minbari ships and crafts) is supported by the most powerful and effective electronic deception and jamming system known, the "Stealth device", capable to avoid a positive lock on from all the known electromagnetic scanners and targeting systems (radar and microwave based) in use, at least among the Younger races, and that is a determinating advantage in combat, allowing to the Sharlins to fight at long and medium distances with all their firepower with a virtual immunity from the enemy fire. As said, the gravitic tidal effect generated by the propulsion system provides even a secondary dissipative effect against the plasma based weapons, but its effectiveness is limited in respect to higly coherent plasma bolts, or against shots fired at close distance. The power generation system and the propulsion system, the "Stalasha" drive, is an integrated design of three gravitic enhanced fusion reactors and a main quantum singularity reactor that generates the bulk of the power, while the fusion reactors are used to start the quantum reactor and as an auxiliary power source in combat situations. The power is produced thanks to a grid of high efficiency magnetoplasmadynamic generators placed in arrays along the flanks of the upper and ventral fins, directly fed by the plasma tapped from the fusion and quantum reactors, through channels running along the fins. This system, even if large and expensive, allows a good degree of redundancy and damage tolerance thanks to the distributed architecture. The power output, fully available in the distribution grid* is around the 350000 Terawatts, about 2.5 times the total power output of an Omega Brightwarrior, more than three times a Nova DN, and this enormous power, by the way, allows even to strongly cut down the recharge time of the jump engines. The gravimetric drive propulsion is the most powerful known among the Younger races (the enormous rear fin of the Sharlins is the visual evidence of how powerful this drive is), and allows good acceleration performances regardless the high mass of this ship, more than 3.5 g's, and, while power thirsty, has the classic advantages of the gravimetric drives that, not needing propellant reaction mass as the Newtonian engines (like the plasma and particle/ion engines) allows enormous endurance and range, and very high attainable speeds, given that the maximum acceleration can be maintained for a very long time; this is particularly sensible in terms of strategic mobility: a Sharlin can travel through the hyperspace at very high speeds, cutting down the operational times. The weapon system is maybe the most relevant asset of the Sharlin/Shargoti family: the Minbari main weapons are particle cannons that fire continuous beams of antimatter neutralized particles, with an enormous amperage and an unmatched power output: such a scheme is essential to fight effectively against the Shadow vessels, that must be subject to a continuous powerful attack to ovrwhelm their energy dissipative armour, but is devastating against all the targets, due to the sheer power and the long range. On the leading edges of the ventral fins are placed four fusion discharge cannons, a short range plasma discharge weapon of impressive destructive power, while on the masts visible on the bow, on the secondary cannons pods and on the two upper corners of the stern plate of the hull are placed a total of 18 steerable "slicer beams", even in this case beam projectors but with a steering system that allows the shifting of the beam on a wide firearc (about 180°) - these weapons are conceived as polyvalent systems, as point defence against the fighters and as secondary antiship weapons - the power output is about 400-500 terawatts, well enough to inflict heavy damages even to an averagely armoured warship. In the root of the dorsal fin, forward facing, is installed an heavy antimatter projector, a discharge weapons based upon gravimetric technology (the conceptual ancestor of the quantum discharge cannon), that at short range allows to fire a beam of impressive power output (around 12000 Terawatts) - Due to the large diameter (25-30 meters) and relatively scarce coherence of the beam, this weapon has a relatively low penetrating power respect to the main bow beam, but is a perfect solution to overwhelm energy dissipative defences, like the one used by the Shadows. The high power output makes of it a very effective "demolition tool", but usually the Minbari crews prefer to rely on the accuarcy and power of their main antiship beam weapons. It is available even a "Electro Magnetic Pulse Projector", a weapon that is capable to fire an high power Electromagnetic pulse capable to incapacitate the electronic and electric sytems of a small sized craft up to some kilometers of distance. As all the medium and large Minbari warships, the Sharlin has embarked a gravimetric "tractor beam" system, an array of small, directional gravimetric field projectors that can be used in docking manoeuvres, to tow another ship, or to "hook" it - range and low reaction time, and even the limitated power level of this system precludes its use as a weapon or a defence system. The Point defence of the Sharlin, beyond the "steerable slicers", relies heavily on its complement of fifteen Nial fighters, whose effectiveness is beyond every doubt. In the last two years, the whole fleet of Sharlins and Shargoti is undergoing a retrofit program to equip all of them with an interceptor grid, based upon 7 high rate of fire ion bolters developed by the Minbari with the technical assistance of Earth Alliance, that has given the basic technolgy, the technical specifications and the design of the high torque, high precision servomotors and of the special closed loop tracking and control system needed to ensure the performance of the interceptors. The "Anla'sa" (sentinel) Interceptors-CIWS ensure now to the Minbari cruisers the same high level of defence against the fire of bolt weapons that is typical of the EA warships, and enhances the performances of the antifighter point defence. As known, the sharing of the Interceptor technology is one of the most significant contributions of the Earth Alliance to the whole ISA, and one of the operational benefits of the agreements in the ISA and the participants to the Treaty of the Four Stars. The Sharlin and the Shargoti are universally considered the "reference ship" for the younger races: Highly advanced, long ranged, durable, fast, with an absolutely devastating firepower and an awesome stealth system, they are really superior weapons, and represent the true power of the Minbari military, and, in fact, almost the best of the Inter Stellar Alliance. The best testament of the real power of the Sharlins is the simple fact that, among almost all the peoples of the ISA, the most prized aknowledgement of the power and excellence of a ship design is "... could go even against a Sharlin". Alyt Lennan Neriss was embarked as tactical officer on a Sharlin during the first year of the Earth-Minbari War, and was commander (Alyt) of the Shargoti Warcruiser "Ardel'fir" and later Sha'Alyt (Commodore, or Rear Admiral) of a cruiser task force through the Shadow war, the Thirdspace incident of Babylon 5, and in many important missions during the Drakh war. He was embarked even on a Whitestar and on a Victory destroyer of the Anla'shok and on a Warlock Destroyer in the EA-Minbari Technical Exchange Initiative of the 2277. He is even the only pilot to have the Flight Certifications for the Nial and the Starfury. 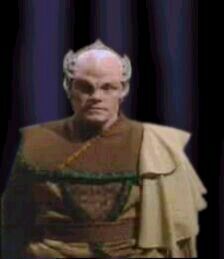 Mr.Lennan has succesfully attended the final courses to be promoted Sus'Alyt (Fleet Admiral), and he is temporarily assigned on Earth as Technical Military Attaché of the Minbari Embassy. Its great experience with the Warcruisers, and its kind collaboration, has offered a first hand (and unbiased) testimoniance of the operational use and of the effectiveness of the Shargoti and of the almost equally formidable Sharlin. "I have found the Sharlin, and the superior Shargoti, very satisfactory ships from all the points of view, with a few limits that anyway a good Alyt can keep under control. The control systems are highly automated and easy to master, and the ship behaves well in all conditions, fast and accurate in navigation, even if not excessively nimble. The strong points are clearly the weapons and the energy systems, powerful and extremely affordable. Even the propulsion is a significant strength of the warcruisers. The main weapons installation requires an accurate choice of the attack trajectory, the Sharlin is an attack weapon and must be used as it, even tactically: while being an extremely capable warships (if I am allowed, I consider it the best available among the Youngers, with very few possible exceptions), it is not something that can be given in the hands of an untrained commander. The best tactic against an enemy warship is a long to medium range engagement, as we usually do, or in a solo attack, or in a frontline attack, with a fleet or a task force against an enemy target: this allows to exploit all the power of the weapons, and our Stealth system is a decisive advantage at the ranges beyond the very close ones, at least against the Younger races enemies. The "Wing attack", developed in cooperation with the humans in the last ISA "Bright Shield" and "Chess master" fleet exercises, that consists in attacking a target with some close formations of three warcruisers, the wings, from multiple directions, is in my opinion the best technic against a superior enemy, like were, for example, the Shadows, and, eventually, could be the Ni'tee'shok (the "Enemies of life", Thirdspace Aliens) of the Thirdspace: it combines the advantages of the agile and flexible solo attack with the concentrated firepower of the frontline attack, and it is a decisive progress in the use of our main warships. I cannot find anything against the sensors and the command systems: in my experience, they have never created problems and ensure excellent detection performances, both in normal space and in the hyperspace. Tactical and navigation display, command and communication systems are really excellent and, as I said, the main weapons, particularly the "Nur'Nil'bok" (Lone Sword- the Main bow beam) are really formidable. Even the armour is very good, the hull can be penetrated only by the most powerful weapons, and the ship, in itself, can take a lot of punishment and still be able to fight, or, at least, to bring back the crew. The combination of firepower and multiple defence, so stealth and overall thoughness, allow to fare well even in short range engagements, even if the experience of the last decades, included the war against your people, has teached us to avoid them, if possible, and maintain the fighting at the optimal ranges. If I am asked to present a critic, the limits of the Shargoti and of the Sharlin, more than in respect of the armour, are in the area of the antifighter and point defence. Let me expand my point of view. An invulnerable warship is impossible to build: there will be always a weak point, or eventually a weapon strong enough, to defeat it. You must analyze the potential threath, and design the defence in function of the menace, this is an universal principle. The Sharlin and the Shargoti are thought to fight the Shadows, and we all, unluckily, know how powerful their weapons are. To concentrate the armour around the hull, leaving barely protected the rest of the ship, is the only possible alternate choiche in respect to a ship with an all-over thinner armoured cover that, at the end, would have left it equally vulnerable in all its areas. It is a choice perfectly explanable, and, overall, correct. You Humans, actually, and even during the war between our peoples, have always built very well armoured and impressively sturdy warships: some of the old ones, the "Khalats" (Note: Khalat = hammer - the Minbari call Khalat the Nova dredanoughts and khalat'ri, new hammer, the Omegas, for obvious shape reasons), with all the limits of an inferior technology were impressive for their thoughness, and even for the short range firepower, and honestly they were the only ships of the Younger races that represented a concern, to be treated with respect. In the last cycle of the war, when You changed tactics, they were a real treath. Your former choices, and your actual choices, perhaps, are as logic and justified as was the design of the Sharlin: we built the Sharlin to fight against the Shadows, you built the khalats to fight aginst the younger races, and, without offense, the khalat'ri and the Shalannis (Shalannis - the Warlocks - A Shalannis is a large marine predator, the approximate equivalent of a Minbari Shark) to fight against us. Taken into account these premises, both the design approaches are perfectly rational, and the outcomes are effective ships. Instead, the antifighter weapons of the Sharlins have shown some operational limits: even these systems were developed to counter the menace of the Shadow fighters, and so they have a very high power, but the tracking and steering systems are not as cared as the others on the Warcruisers: against mass attacks of small, nimble fighters protected by a decent**** ( see Note 4 ) deception and jamming system, is not ensured that every attack will be blocked: some of your fighters were frequently capable to pass through the screen of the Nials, and the "Whips", the slicers, as You call them, had some problem to intercept all the incoming targets. In that case, some damages, particularly at the fins, were unavoidable, even if usually they were not enought to compromise the integrity of the ship. Indeead, the Drakh fighters were a lesser threat: their weapons were more powerful, but the large dimensions and the inferior manoeuverabilty made of them an easyer target, for the Nials and for the Whips. As said in the introduction, I found myself, in command of the the Ardel'Fir ("Silver Star" Shargoti Warcruiser), to fight against the Ni'tee'shok at Babylon 5, and their gunships, while having the same limits of the Drakh fighters, have an important asset: they have some form of energy shield, that was capable to deflect, even if not always, the fire of a whip: a glancing cut is not enough, they must be kept under fire for one second or so to be destroyed, and in this time they can shoot a bolt and hit us, and their weapons are powerful and dangerous. The Sharlin commanded by my dear friend Aslan was badly damaged by a series of attacks of these crafts, at the end of the battle it was out of combat and later was decommissioned, and we had more than 30 deads on it, while many others, included Aslan, were badly wounded. The hull of the Sharlin is very well protected against the beam weapons, but has its limits in managing the concussive and explosive mechanical effect of the plasma bolts impacts. In that occasion, your Firegrid (Interceptors) would have been a welcome addiction to our Cruisers, and, if the Ni'tee'shok are even a barely potential menace, I am well happy of the availability of the Humans, that have given us this particular defence system, that, at least for my personal experience, it is essential, much more tactically decisive than many of us, and even many humans, usually presume." * Note 1 - All the Human ships, and almost all the known ships but the Minbari, have a power-propulsion plant based on fusion reactors. The power output of the reactors is not totally available for the onboard users (weapons, jump engines and so on) for technical reasons: the power generators are always magnetoplasmadynamics systems, usually integrated in the engines. Even The fusion reactors are integrated in the engines, and they feed directly the propulsion system, if this is a Newtonian engine, so in first the whole power output, in form of an overheated plasma flow, is channelled in the engines and accelerated through them thanks to a magnetuic nozzle. Beyond the primary nozzle is usually placed a magnetoplasmadynamics generator, directly fed by the engine flow, that taps part of the power of the flow to convert it in electric enrgy, available for the users. This is the scheme used by the Earth Allaince designs from the Nova to all the actual ships, by the Centauri, and by the Narns in the G'quan and Bin'tak classes and newer. Even if appearently complex, in fact the system is simple, ruggedized and efficient. Usually, of the whole power produced by the fusion reactor/engine complex, a percentage between 10% and 20% is available for the electric power production, this percentage being of about the 35% for the more advanced gravimetric enhanced designs of the Centauri and of the Earth Alliance. An Omega Epsilon has a power output of about 110000 Terawatts, but the power available for the users in electric form (so to feed weapons and other systems) is about 36000 terawatts - these numbers are 310000 TW and 135000 TW respectively for the Warlock; a Sharlin has the whole flow of 350000 or 360000 TW available for propulsion, or weapon feeding, or jump engine recharge. This concept is applied even by the Vree, and even in this case the firepower of their ships is disproportionately high respect to mass and dimensions. ** Note 2 - A spinally installed weapon solidal with the hull, that requires to aim the whole ship against a target to hit it, is a technical choice that is commonly criticized; in fact, the disadvantages of this type of installation are easy to see, essentially, a relatively long reaction time and problems to fight against multiple, side attacking foes at the short distances. The many advantages, instead, are less easy to see: first of all is possible to install a spinal weapon significantly longer, larger and more powerful than a turret mounted cannon: classic samples are the G.O.D. cannons, the spinal lasers, the Bow beams of the Minbari cruisers; perhaps, the weapon is even more protected: instead of being an external evident and visible target, it is placed well inside the hull, only the gunports are exposed. Even the eventual ancillary systems, coolant jackets, feeding systems, energy accumulators, are much more protected. must be added that, at least in the Human and Hyach designs, the spinally installed weapons have shown to be more accurate than the turreted ones (and the human weapons are maybe the most accurate in use). The spinal installation, overall, is a good solution for long range, powerful weapons: the distance means that the relative angular speed of an even fast moving target is small enough to allow an effective tracking even with slow manoeuvres, so if the power grid of a ship can support a bulky, powerful, long range weapon, the spinal installation is quite a good solution. As a note, the Vree Xill light cruiser has its main weapon, a powerful array of rapid fire antimatter bolt projectors, that is not only in a fixed installation, but fires at 90° degrees respect to the main plane of the ship (the Xill is a Flying saucer) - Due to the extremely high acceleration and the awesome nimbleness of the design, even at short ranges this unusual installation has shown to be the most potent antifighter weapon known, devastating even against the swarms of Shadow and Vorlon fighters, and the combat performances of the Xill are excellent regardless the "spinal" mount of its Antimatter Shredders. Must be furterly remarked that, for the few that is known, at least two Ancient races, the Torvalus and the Kirishiacs, use spinally installed main weapons (on their extremely nimble and manoeuverable ships, must be added), while Vorlons and Shadows use spinal/internal main weapons installations, but with steerable beams. *** Note 3 - The Minbari ships, due to their gravimetric drive and the highly efficient reactors, don't need to carry large amounts of fuel, and so, paradoxally, this is a theoretical limit in the full exploitation of the firepower: almost all the beam weapons used by the Younger races, while intrinsecally very efficient, need a certain cooling: given the fact that a warship cannot use large radiating panels, the only solution is to use the propellant tanks as heath sinks: the propellant is circulated in the systems of the weapons, and sent back into the fuel tanks. The large amount of mass stored, and the chriogenic temperatures of the propellants used ensure the satisfaction of the cooling needs: an Omega or a Warlock, with a residual 50% of the propellant, can easily sustain more than two hours of continuous use of the weapons before manifestating cooling problems, and this is well beyond the average length of a fighting, that usually, even in large battles, implies a series of engagements of less than a minute each one, while the antifighter and point defence systems, that usually fire for longer periods, have a power output and cooling needs well below the main antiship weapons. The Sharlin, with its small chriogenic fluids reserve and the enormous power output of the weapon, theoretically needs a "waste heath management" in a fight. In fact, due to the overall superiority and the sheer power and devastating effect of the Minbari weapons, a series of short discharges is usually well enough to defeat almost all the average opponents, and the "cooling question" never was a limitating factor. **** Note 4 - Decent in Minbari terms - In fact the point defence systems of the Minbari Warcruisers can be deceived, with extreme difficulty and unassured outcomes, only by the most powerful and advanced electronic warfare systems combined with a compact and extremely fast and manoeuverable fighter. Other: 4 Lintira armed shuttles. 1*Stalasha "Shad'ardbar" (Blue Sun) Quantum singularity Reactor. 3*Stalasha "Arama'fi" (Yellow Star) Gravitic enhanced fusion reactors. 1* "Nur'Nil'bok" (lone sword) Heavy Neutron/antimatter beam spinal cannon. 14* "Whips" antimatter beam steerable projectors. 8 to 10 meters of multilayered special alloys/polycrystalline armour; gravimetric tidal field generated by the propulsion system; Minbari "stealth" active echoes cancellation system. 16*Gravimetric field directional projectors (tractor beams). SHARLIN WARCRUISER - This is the Sharlin warcruiser, in its standard foprm.